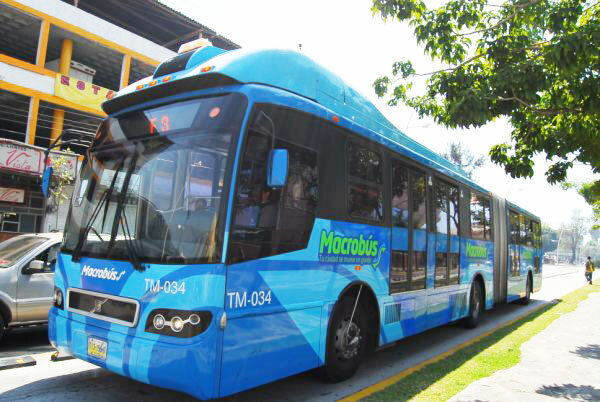 Jalisco Governor Aristoteles Sandoval announced on Sunday that his administration plans to introduce a second Macrobus line to Guadalajara’s Periferico beltway. The Guadalajara Macrobus is a bus rapid transit system that was inaugurated in March 2009 under the Emilio Gonzalez administration. The first line runs for 16 kilometers along the Calzada Independencia and Gobernador Curiel. Plans for a second line circulating the metropolitan area were drawn up by the new administration, but Sandoval admitted that Transport Department (SCT) would have to come to an agreement with other public transport providers, as the new Macrobus line would compete with the 380 bus route which also runs around the Periferico. A third line could also run along the Chapala highway to the Guadalajara international airport, Sandoval added. “These are alternatives that are being considered,” the governor said.